This bed is the epitome of simplicity and elegance. 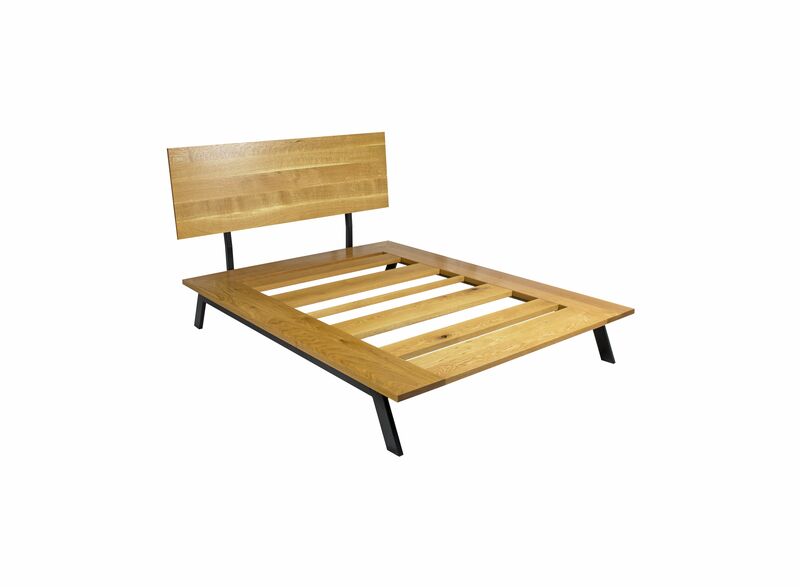 Shown with an American White Oak platform and Quarter-sawn headboard. 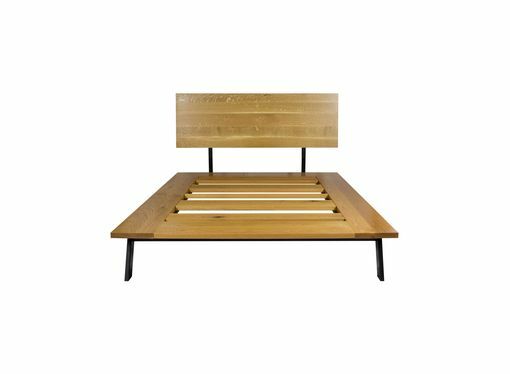 The Oak platform sits atop a powder coated black steel frame base. 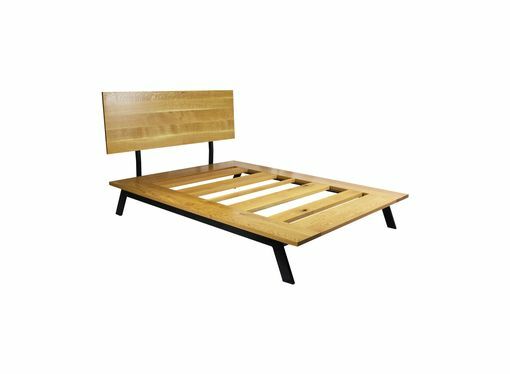 This bed can be completely torn down and disassembled for easy moving. Finished with Rubio Monocoat, an all natural, Non-VOC, oil based finish. Available in multiple sizes and hardwood options. Headboard is available to be custom made with a live edge slab or as shown. ******Shipping charges listed is an estimated quote only, charges will vary based upon size ordered and location and may be more than initial quote.